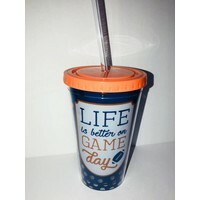 16 oz reusable cup with lid and straw. 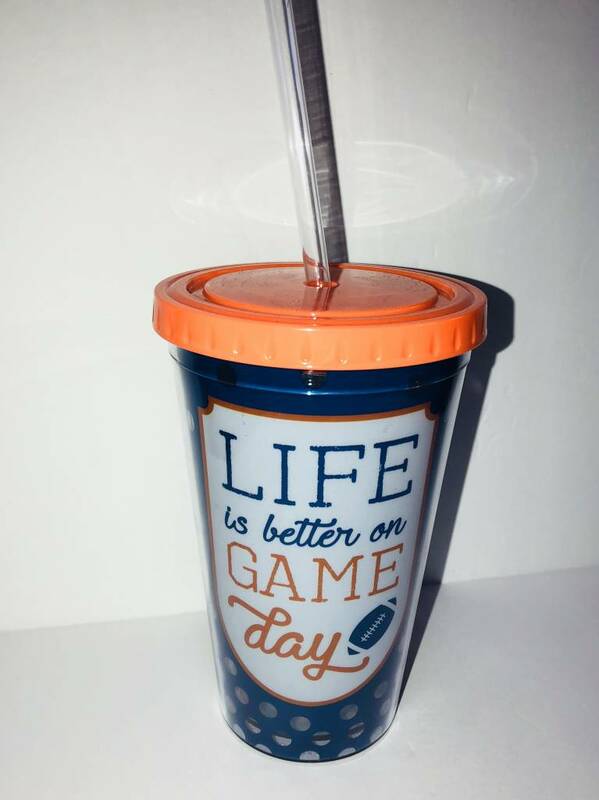 UF and FSU colors. 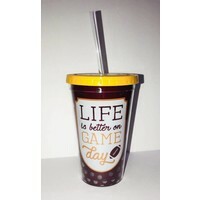 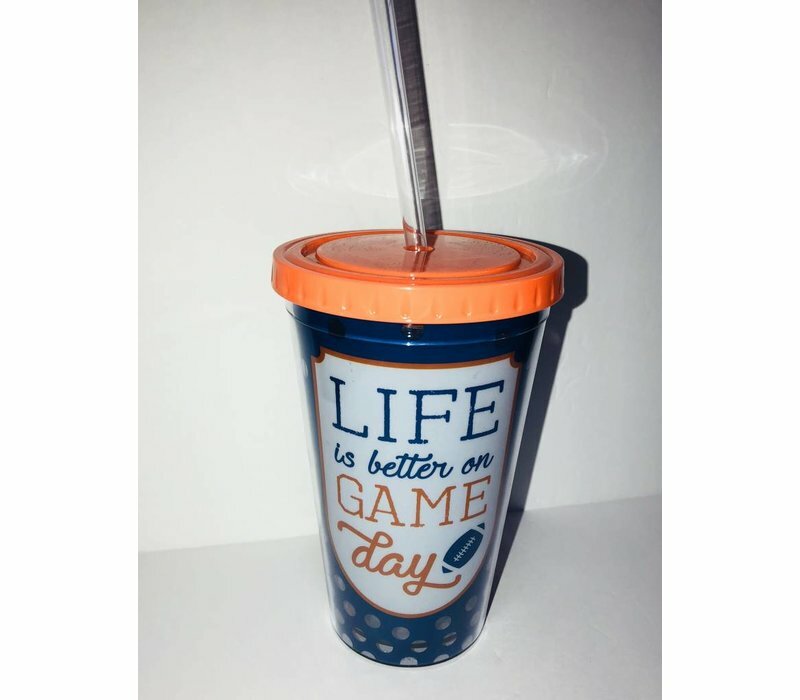 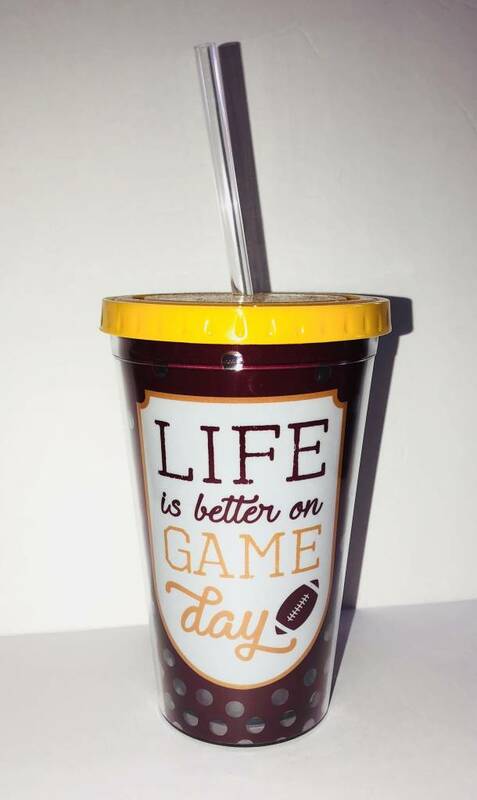 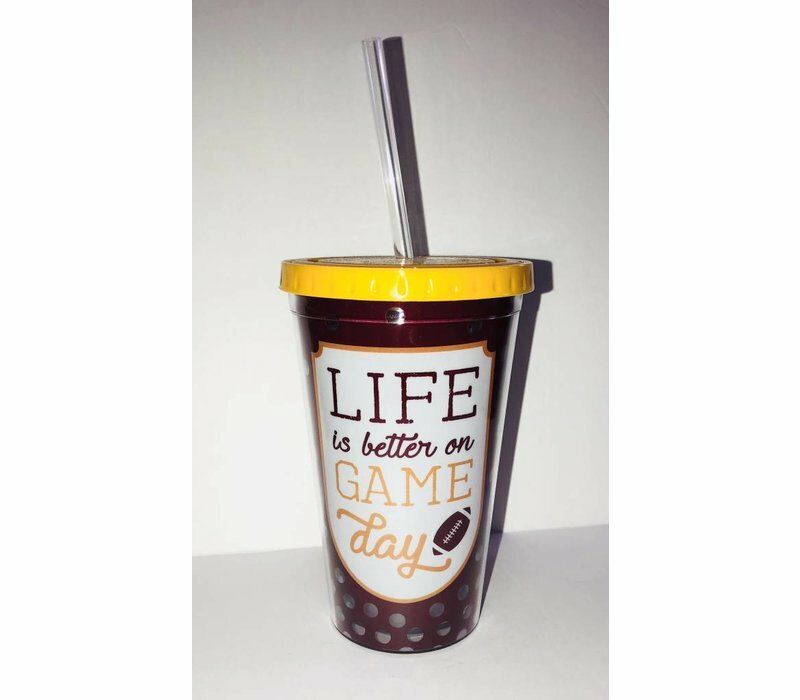 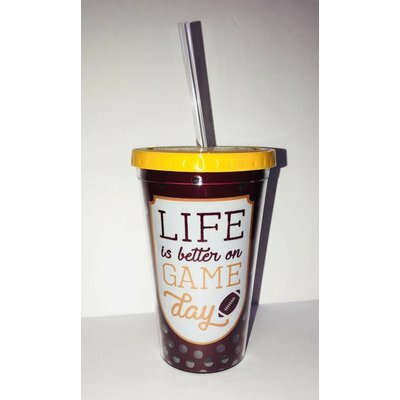 "Life is better on Game Day!"